Alienware has announced its new m15 gaming laptop, and the company is looking to follow in the footsteps of recent gaming laptops from companies like Razer and MSI by building its thinnest and lightest 15-inch laptop yet. The m15 has all of the things you’d expect from a 2018 gaming laptop: a thinner, Nvidia Max-Q design that trades some performance for portability, 8th Gen Intel processors, up to 32GB of RAM, and plenty of different storage options. Customers will also have the choice between a 60Hz FHD display, a 144Hz FHD panel designed for gaming, and a 60Hz UHD display that offers better resolution. 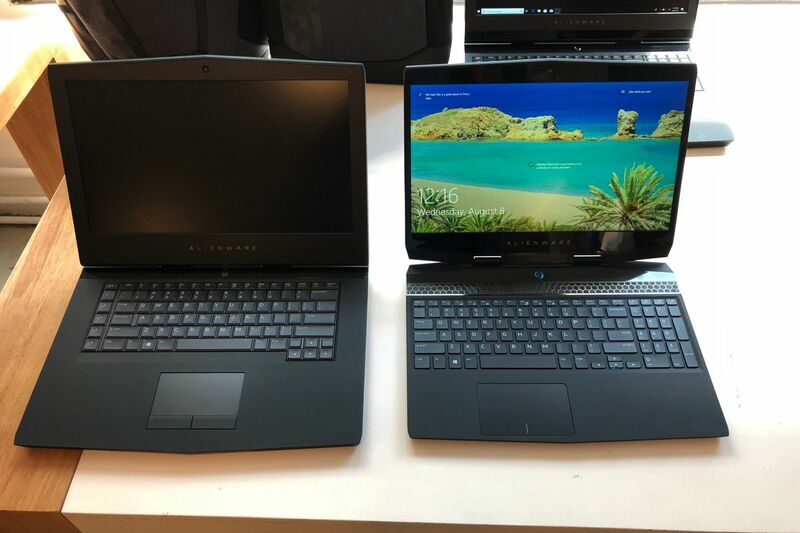 The design is the biggest jump from Alienware’s previous models, and it’s immediately apparent when you compare them side by side. The new m15 offers slimmer bezels, a reduced footprint, and it looks way better than Alienware’s clunky old design. The new m15 measures in at 4.76 pounds and 0.83 inches thick. (By comparison, the 2018 Razer Blade — which is currently the best gaming laptop you can buy — weighs 4.63 pounds and is 0.68 inches thick.) 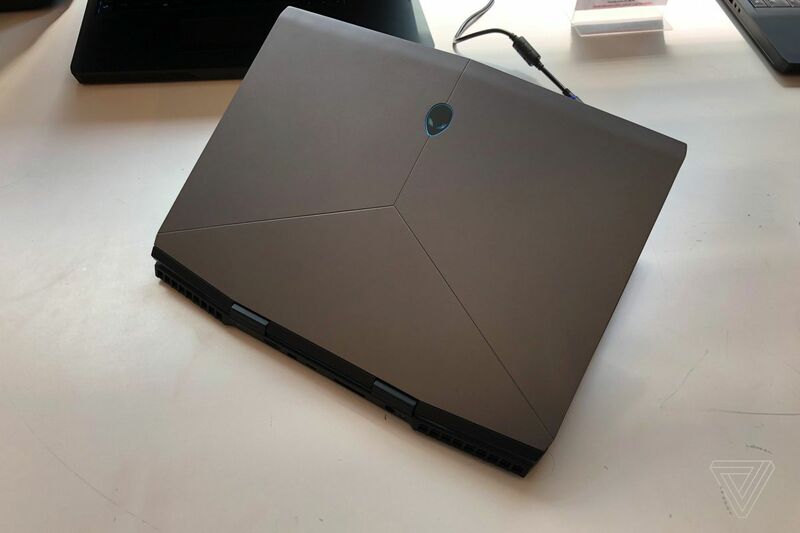 Alienware says that the m15 is the thinnest laptop it’s ever made, and it compares it against the old 13-inch model, which weighs 5.8 pounds and is 14 percent thicker than the m15. 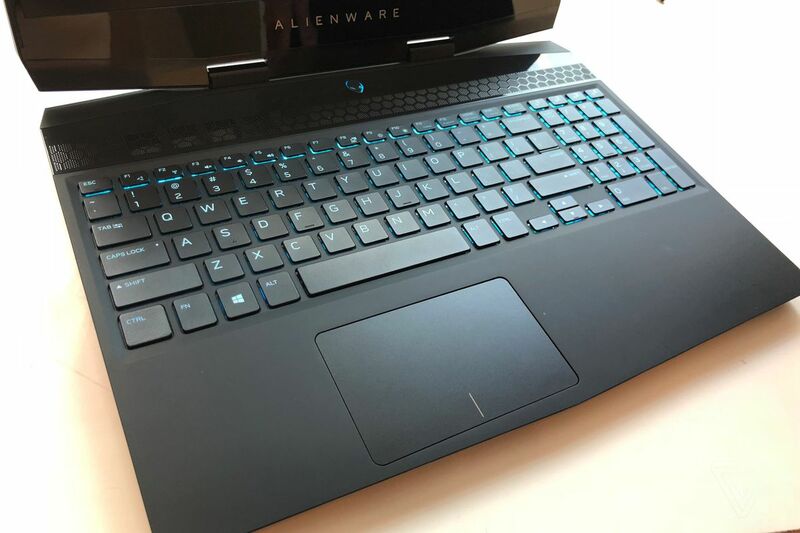 Alienware has also updated the keyboard to a chiclet design (don’t worry, it’s still backlit) and squeezes in a full numpad and trackpad into a more modern combined pad. Ports-wise, it has three USB ports, one USB-C Thunderbolt 3 port, HDMI and Mini DisplayPorts, Ethernet, and Alienware’s proprietary Graphics Amplifier plug. The m15 is not the thinnest or lightest laptop around. After all, an Alienware laptop is still an Alienware laptop, and that means that gaming performance is always going to be the top priority. But like the other Max Q laptops out there, the m15 is the first from Alienware that feels like it might not only be useful as a gaming laptop. Its size and weight that could make it a viable option as a day-to-day computer, too, and that’s a very encouraging thing to see. The m15 will be available on October 25th starting at $1,099.